A vehicle requires proper fuel delivery to its engine to function properly. There are at least 4 components that make up a vehicle’s fuel system which includes the fuel pump, fuel pressure sensor, the fuel rail and the ECU which monitors everything. The fuel pump receives the fuel from the fuel tank and throws it into the fuel rail which transfers the liquid into the cylinders using the knowledge of the fuel pressure sensors. Naturally, if the pressure is not according to the manufacturer’s recommendations, you will experience little to no response from the car’s engine. In this article, we will discuss the various symptoms that arise from low fuel pressure or a failing fuel pump. First, you will see a chart of the possible causes, solutions and symptoms of a low fuel pressure. If you want more detailed information go down in the article to get the information you need. All cars require proper fuel delivery to their cylinders in order for them to run properly. If you feel any lags in your car’s pickup there is definitely a problem with your fuel system. A clogged fuel pump can be the biggest cause in such a case. Low fuel pressure will also make it hard for you to ignite your car’s engine. You might feel it takes longer to start your car or maybe more than one tries to make a successful ignition. Other than that, you might feel some backfire from your engine. If your car’s engine stalls while running, it is a clear sign you are having some problems with your fuel pump. This is possible because the engine is not receiving the correct amount of fuel to maintain combustion. While engine tuning is not affected immediately, in the long run, you would feel a change in your engine’s tuning. Any such effect should tell you that there are irregularities in your fuel pump or fuel injection. Today’s electronic cars have a fuel pressure sensor that intelligently calculates if anything is going wrong. If it is, the sensor triggers the check engine light prompting you to get your fuel system checked. Generally, with such a problem you will get a P0190 code accompanying your problem. If the Check engine light occurs, you should read the trouble codes with a diagnostic scanner to find out what the problem is. Gasoline run cars are usually not a huge threat to the environment as they do not emit harmful chemicals from their exhaust. However, if your car starts to excrete thick black smoke from the exhaust after you start it, there is definitely something wrong with the pressure in your fuel system. But in this case, rather high fuel pressure. A lot of people might not have turbos in their car but those who do have another way of knowing if there’s something wrong with their fuel pressure. The turbo system uses air and heats it up to create a turbine like an effect on the engine allowing it to create more power. However, if you feel your turbo is taking too long to spool, there might be something wrong with your fuel pump and pressure. A low-pressure fuel system will destroy the spark plugs that ignite the fuel in an engine’s cylinder. If by chance you are replacing them and you find they are worn out before their time, you might be looking at a problem with your fuel system. Fortunately, the fuel system in a car requires only needs minor tweaks. Sometimes the problem is very minor and at times it can be huge. There are a lot of different causes of low fuel pressure, but here you will find the most common solutions to fix your low fuel pressure. The first thing you can do is to check the screen filter. The screen filter protects the fuel pump from dust and debris and can get clogged up pretty quickly. This can hinder the flow of fuel to the fuel pump and into the cylinders. So, it is better to clean the screen filter, replace it with a new one if needed. This slight adjustment will change the entire feel of your ride. The regulator controls the amount of fuel that leaves the fuel pump. If this small component fails, the fuel rail will not receive the correct amount of fuel and thus the engine will not be able to run at peak performance. Gasoline or diesel comes from the ground and no matter how much they are purified some pollutants can pass through and reach your car’s fuel tank. That’s why mechanics use a simple solution. 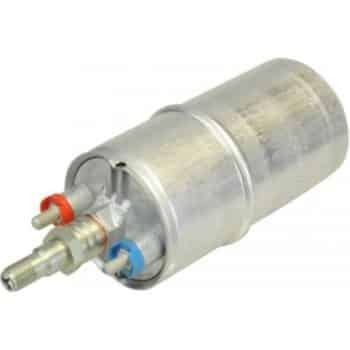 A fuel filter. A fuel filter cleans the fuel from any remaining pollutants and makes it pure enough for the engine. Fuel filters are generally very cheap an easy to replace, such that you don’t need a mechanic to replace one for you. Sometimes, the fuel pressure cannot be maintained because there is inadequate fuel being received from the tank. Therefore, if you feel any of the above symptoms first check if you have adequate fuel in your tank and then proceed to diagnose the problem. As mentioned before, the fuel system consists of quite a few components, which means it is not easy to replace all of them. However, the important ones like the fuel pump and the fuel filter are easily replaced and generally do not cost too much. Having said that, it depends on the make and model of your vehicle before any decision about the price can be made. For instance, the fuel pump for a 2004 Range Rover can cost $914, while a 2004 Chevy Silverado’s fuel pump can cost $414. Toyota Tacoma rough idle black smoke when it warms up. New plugs,wires,fuel filter. Coil packs,egr valve,poor fuel mileage. Is this a fuel pressure problem? It could be, But check for any intake leaks. First, make sure that the fuel pressure sensor is correct. Check the fuel pressure with a manual fuel pressure gauge to figure out if you can find any problems with the pressure. If so check fuel pressure regulator. Could also be a faulty fuel injector which is injecting too much fuel which is causing the pressure to get too low, but the car would smoke a lot. It could, of course, be the fuel pump or the fuel filter also. A real diagnostic troubleshooting is required here!